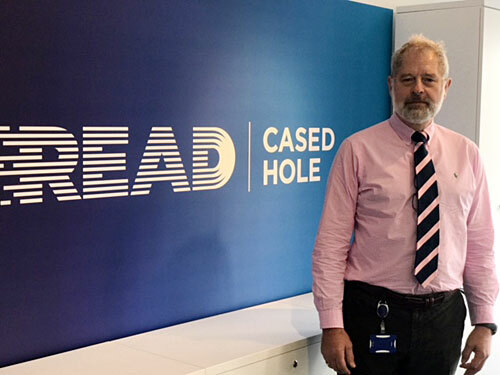 Aberdeen-based production and integrity evaluation specialist READ Cased Hole (READ) has announced the creation of two new positions in their dedicated in-house team of well and reservoir expert analysts. The ANSA interpretation service provided by READ Cased Hole has long been recognised by operators as providing transparent, timely and accurate analysis of production, reservoir and well integrity log data. In response to clients’ growing interest in independent and impartial analysis of both READ’s and particularly third-party data, READ Cased Hole has re-structured the ANSA Team and added additional highly experienced talent to solidify and grow the analytical excellence provided by the Team. READ Cased Hole has welcomed David Steer to the company in the new role of ANSA Service Delivery Manager. Steer is a petrophysicist with over 30 years global experience and has held numerous technical leadership positions within operating oil companies. His previous role was Lead Petrophysicist in Maersk Oil Danish Business Unit. He brings a wealth of technical knowledge to underpin the answer services provided by the team. Under his leadership, the ANSA Team will broaden the range and depth of interpretation services available to further support our clients in maximising the value of their assets. With this renewed focus, READ Cased Hole has moved to further strengthen the ANSA Team with the addition of an additional Senior Cased Hole Analyst and has welcomed Nicolas Kotler to the company. Nicolas, formerly with Kappa Engineering, is recognised for his expertise in complex production logging interpretation and transient analysis techniques. His addition to the team complements the existing talent of our other Senior Analysts, permitting the ANSA Team to provide expert support to our client base.